The Old Drift holds a unique place within the story of the modern development of the region, established in 1898 and marking the main crossing point on the Zambezi River above the Victoria Falls for European travellers and traders heading north into the Kingdom of Barotseland (Western Zambia). Below the Falls the river, trapped within the deep gorges, presents a natural barrier to travellers for hundreds of kilometres. A small settlement of evolved on the north bank and from 1898 to 1905 the crossing was a pivotal point in the transport of goods and people across the river, despite earning notoriety for the high mortality rate, with many settlers dying of malarial complications known as blackwater fever. The arrival of the railway from the southern Cape to the banks of the Zambezi in mid-1904, and the construction of the Victoria Falls Bridge - crossing the river just below the great waterfall and opened in 1905 - shifted the axis of activity away from the Old Drift, and the ramshackle gathering of huts was abandoned to the bush in favour of the new town of Livingstone. After only a short number of years the days of the Drift were over, leaving only the graves of those who died and the memories of those lucky enough to have survived. Close by a stone cairn, erected by the Zambian National Monuments Commission in 1952, marks where the ferry pontoons arrived and the wagons once came ashore. 'Life and Death at the Old Drift' presents a detailed history of this brief but pivotal period in the recent human history of the Falls. Quoting extensively from contemporary references and sources, the story follows the growth of this small European community and some of the colourful characters drawn to life on the banks of the Zambezi - despite the risks. 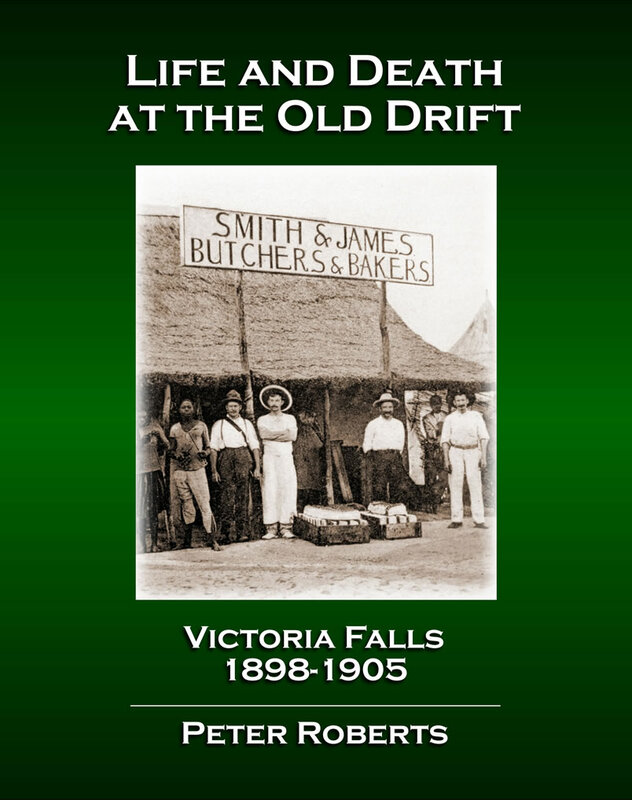 First published in March 2018, copies of 'Life and Death at the Old Drift, Victoria Falls (1898-1905)' are available to order online through either amazon.com (US site) or amazon.co.uk (UK site) for payment in US Dollars or British Pounds. Read more on details on some extended stories from the days of the Drift in our Old Drift feature section on Life and Death at the Old Drift.